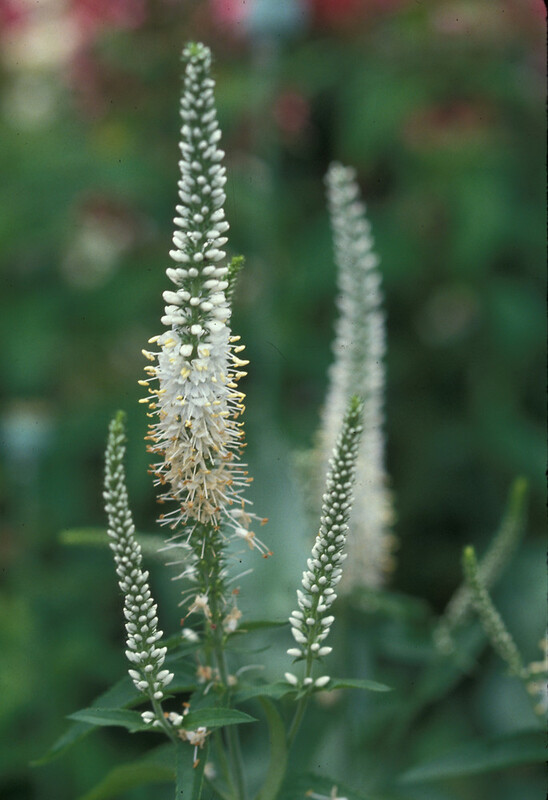 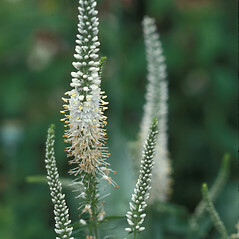 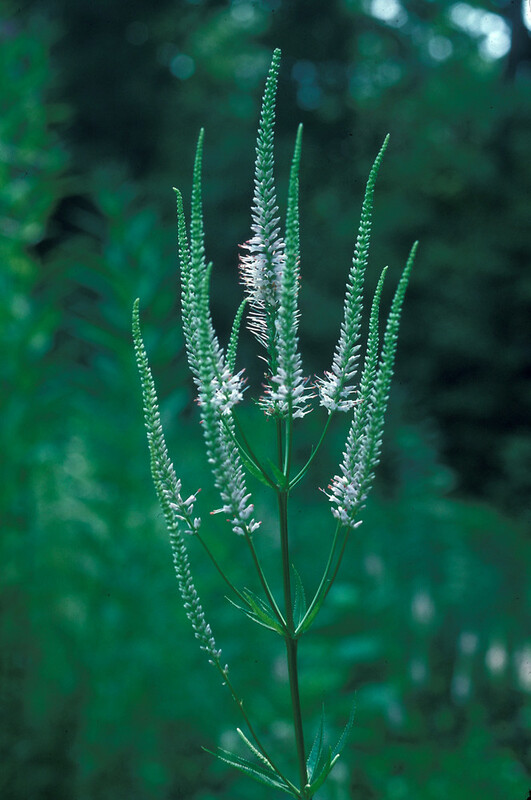 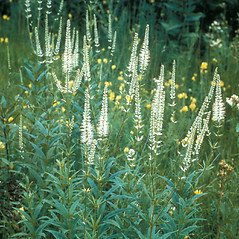 Culver's-root makes a dramatic addition to the native plant garden and is sometimes cultivated in this way, leading to introductions nearby its native range in New England. 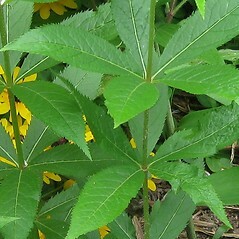 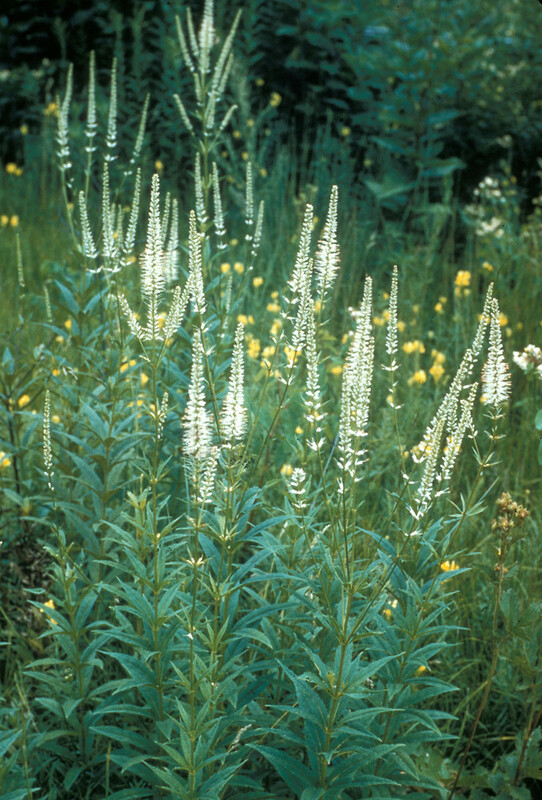 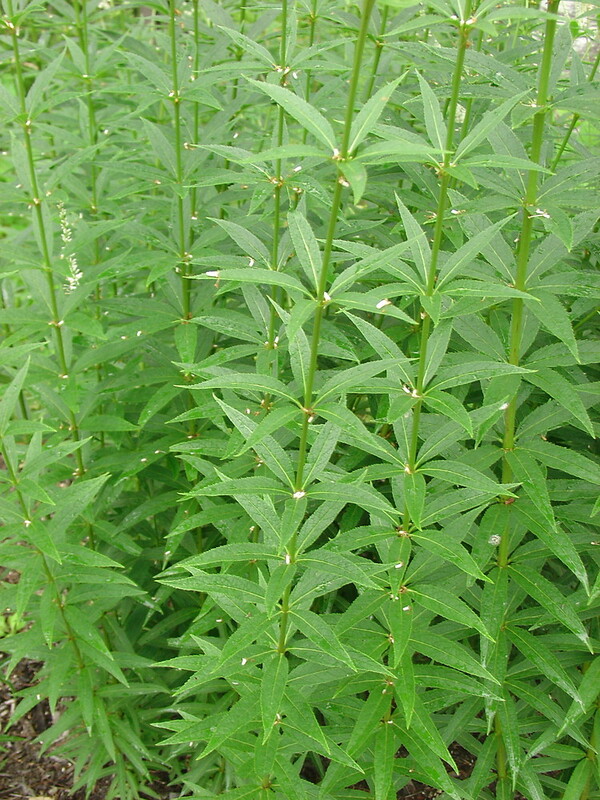 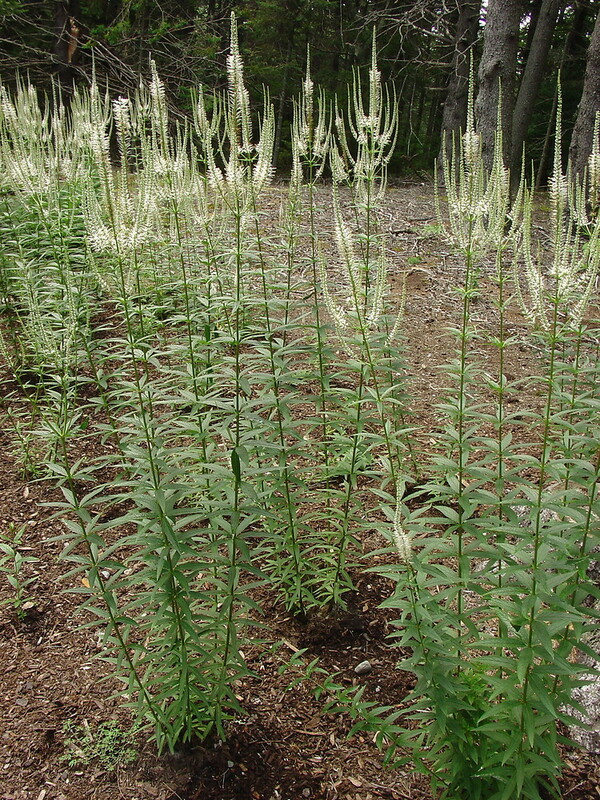 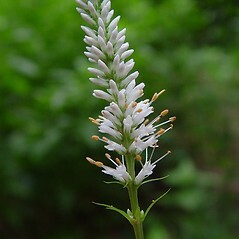 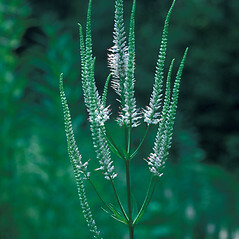 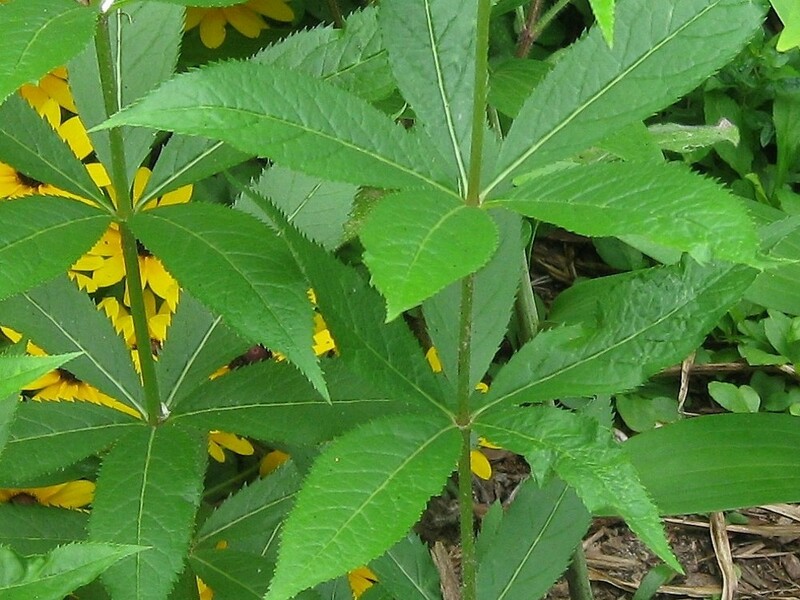 Although naturally quite rare in Connecticut, Massachusetts and Vermont, some populations in this region may be escapes from cultivation, as are any populations found in Maine. 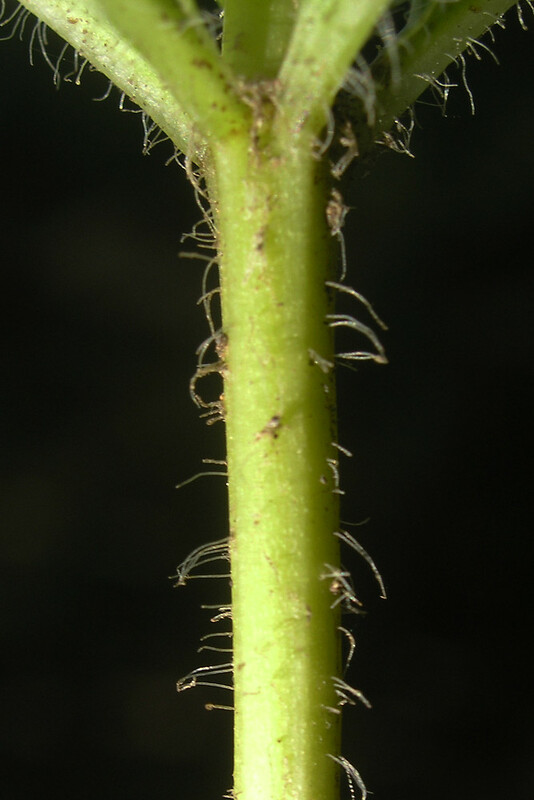 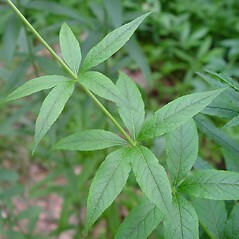 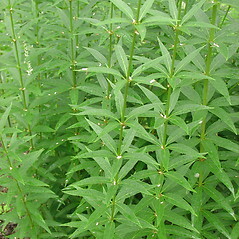 leaves usually opposite, lobes of the corolla longer than the basal tube, and capsules, before dehiscence, emarginate or lobed at the apex (vs. V. virginicum, with leaves mostly in whorls of 3–7, lobes of the corolla shorter than the basal tube, capsules, before dehiscence, tapering to the apex, not lobed). 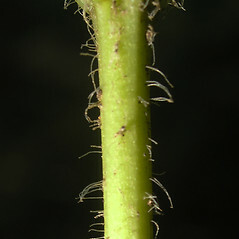 Culver’s-root. 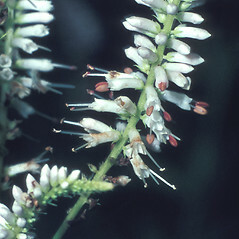 Leptandra virginica (L.) Nutt. 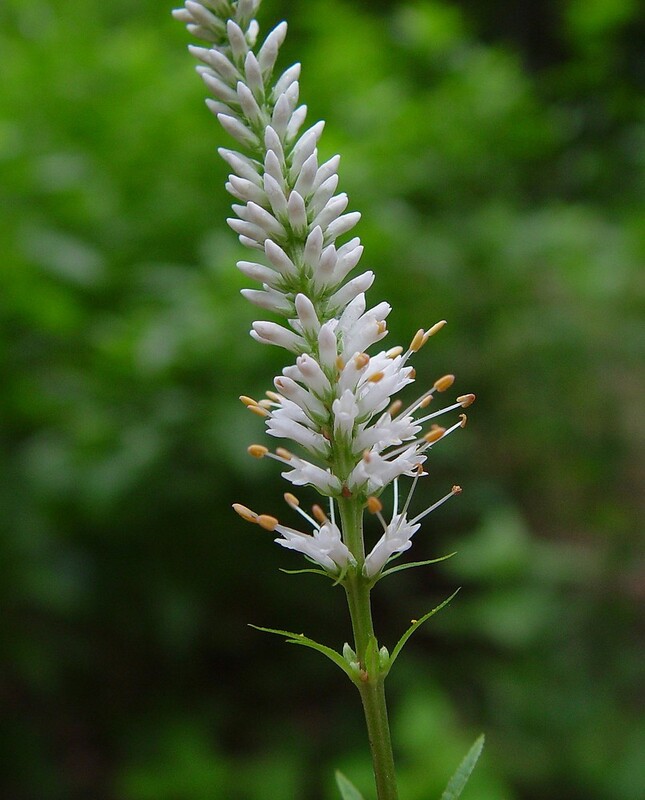 ; Veronica virginica L. • CT, MA, ME, VT. Rich, deciduous forests, fields, roadsides, clearings, forest fragments. 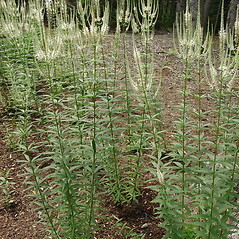 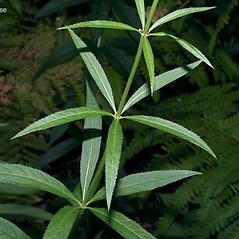 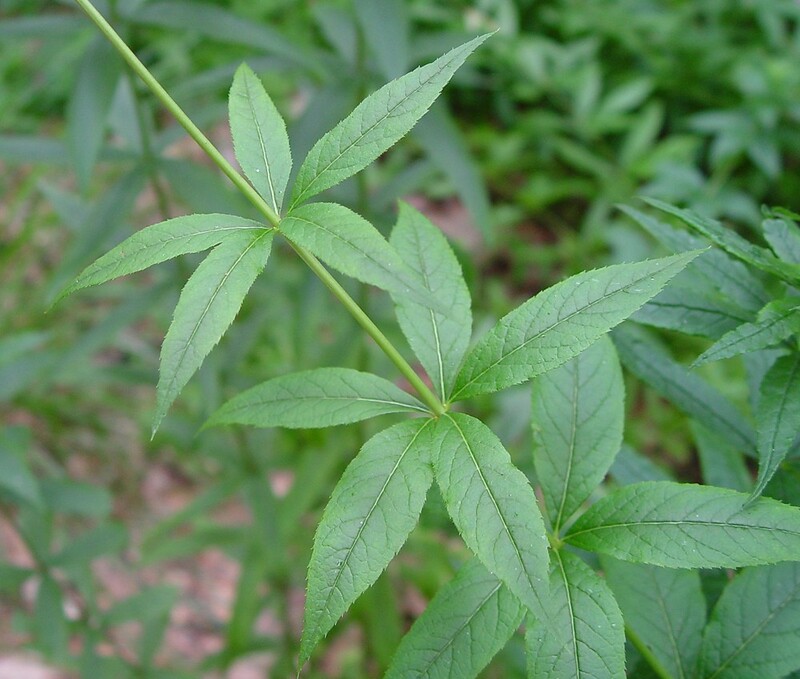 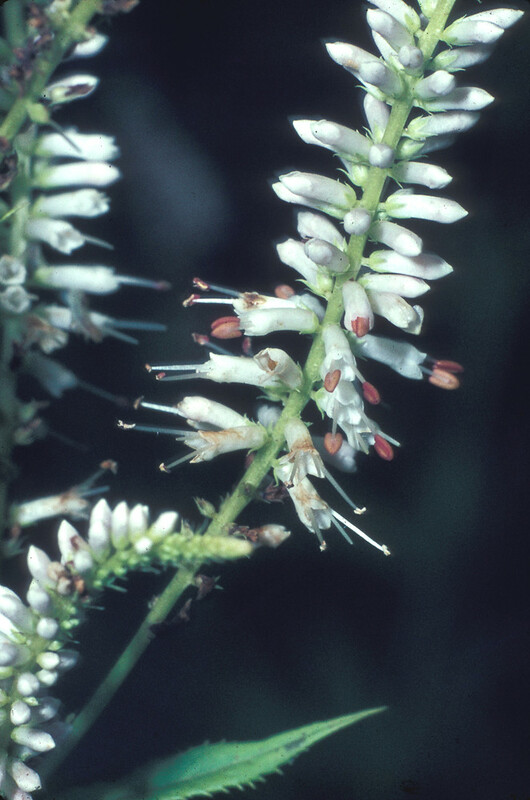 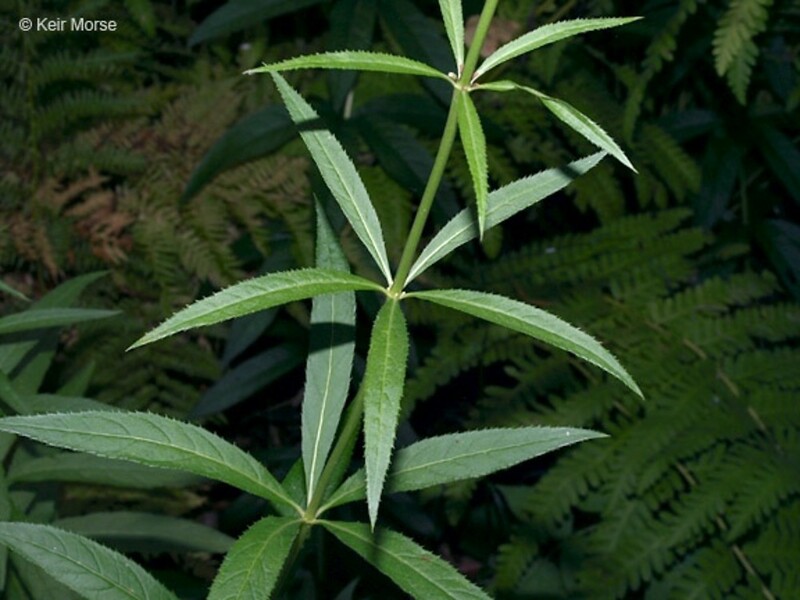 This species is native in CT, MA, and VT (though individual populations in those states may have originated from cultivation), and is non-native in ME.